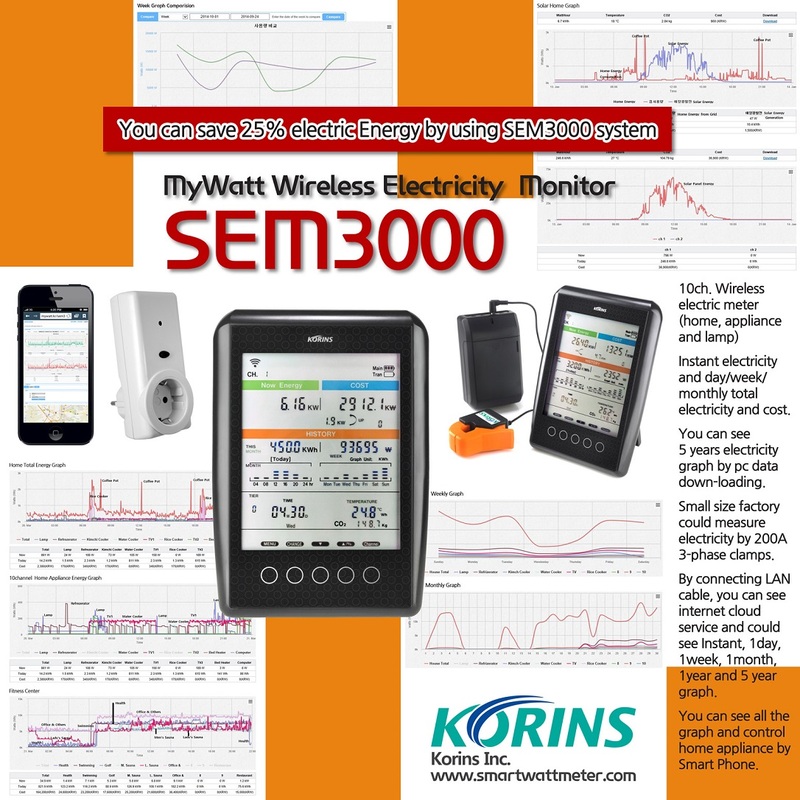 MyWatt 10 channel Wireless Energy Manager measures both household and industrial power usage by installing a current sensor where the Electric meter is attached to. The devise transmits the measured power wirelessly to the receiver located within 70m to provide the estimate of instantaneous power, total power, daily/monthly electricity cost and graphically display the power usage of the previous day. 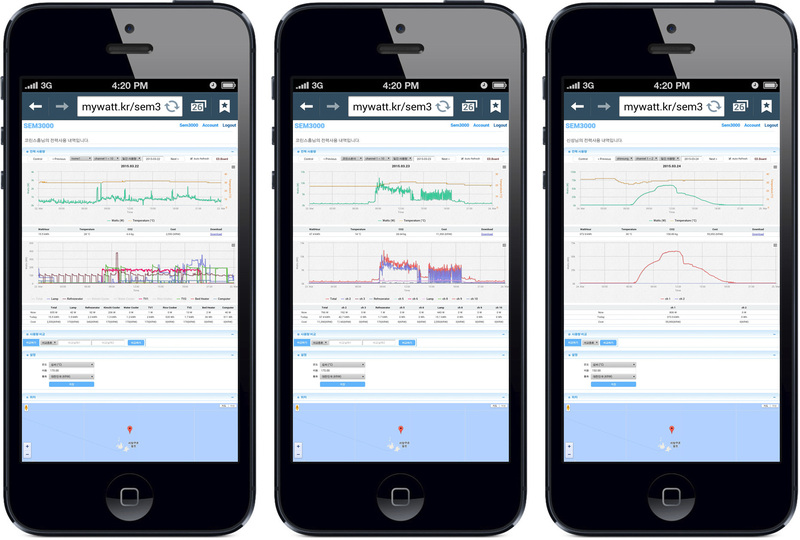 One devise may have a maximum of 10 sensors attachments to enable monitoring the data of 10 channels wirelessly. If the software, sold separately, is used in conjunction with a provided USB cable, it can graphically display the data of 1 hour/2 hour/1 day/1 month/1 year periods. Additionally, if the Gateway, provided separately, is used to connect to internet, it enables Cloud service that can monitor 1 day and 1 week graphs from the website remotely for a maximum of 10 channels. There are many home appliances manufactured more than 5 years ago that are being used today which consume more than twice the electricity than the recently made. 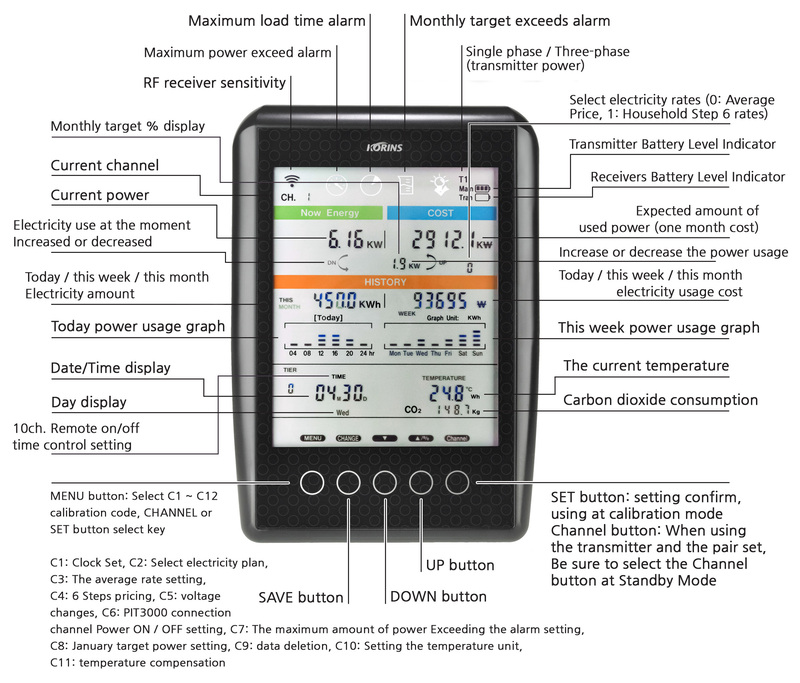 SEM3000 can show us all of those and enable us the electricity bill savings at least 20%.